Life is about Winning and Losing | It's In The Sauce! I love college basketball, especially at this time of the year. 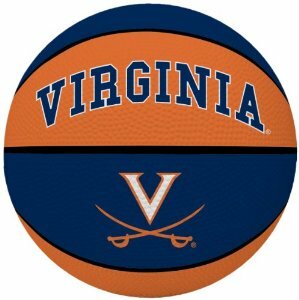 And especially this year, when my team, Virginia, a #1 seed, had a chance to make it to the Final Four. But they didn’t. Something happened to them in the last half of the game against Syracuse, a #10 seed. Early in the game Virginia was ahead by 16 points, but that changed quickly in the second half of the game, and Virginia lost. The fact that Virginia has never won a NCAA championship, and that they had a good chance this year, made the loss more painful. In an earlier game, the Sweet 16 game that put Virginia in the Elite 8, Iowa State played Virginia, and lost. I was so struck by how well Iowa State played until the very end, that I started an article titled, “What I Love About Basketball/They Don’t Quit!” Iowa State played hard and fast until the very end. You could see the determination in their faces. They were not going to give up. They lost, but not because they conceded early by assuming they were going to lose. They gave it their all until the very end. In a later game, UNC vs. Notre Dame, Notre Dame also had the “fire in the belly” until the very end. UNC won that game, but Notre Dame played hard until the very end. Now, I have never played basketball, so I am not really qualified to judge what any team should have done differently to win. I am sure that will be analyzed by many others. But I am an observer of life, and this is not really about basketball. It is about life. Life is about winning and losing. Some say that we learn more from losing than winning. It has also been said that we only need to get up one more time than we fall to win. How we handle defeat, whether it energizes us to work harder to win, or whether we quit, has a lot to do with long term success. But what is winning, and what is losing? While there are many definitions of these two words, the definition I propose for this discussion is: Winning is accomplishing your goals, to have the life that is most meaningful to you. Losing is falling short of that. To win in anything requires confidence, competence, and commitment. There are many behaviors, skills, and activities involved in these three areas, and a weakness in any of the three usually results in more losing than winning. Confidence involves the steady belief that winning is not just possible, but likely. Confidence is different than arrogance. Confidence involves humility, but also drive. Those who forge ahead toward their goals with confidence are more focused on their own movement than what others are doing. Their goal is not to beat others at the game, but to win their own game. Competence involves having and using the knowledge, skills, and behaviors necessary for success, and continually upgrading those to stay in the game. It requires changing as the marketplace changes, letting go of what isn’t working, making room for what will. It involves course corrections, being agile, quick, and focused. Commitment involves staying power, such as the fire in the belly shown by players in any game who, although they know there is no way to win statistically, give it their all until the last play of the game. Commitment involves tenacity, finding a way to go around the barriers that must be removed for success to occur. It is more than a plan, a goal, or a resolution. Commitment often includes having a structure or a process in place that improves the probability of success, especially for some people. One example of this, for me, is Weight Watchers. Every time I have followed the WW plan, I have successfully lost and maintained the weight. Yet when I delude myself into thinking I no longer need to do the boring work of counting points, I have slipped right back into the behaviors that cause the weight gain. I am at that point again, so earlier this week I rejoined WW. So yes, commitment includes doing the boring work necessary for success, whatever that is. All jobs involve some boring work, and having a system in place to assure that such gets done consistently is important. Winning is not a straight trajectory. What we consider winning at some times in our lives is not the same thing at other times. One example of this is full employment and retirement. Even the most work focused of us decide to scale back on paid work in our later years, although what is considered “later years” varies. Those who lose in that life transition are those who try to hold on to the life that has passed, failing to enjoy the new. Being able to enjoy all that retirement affords us requires that we have had the confidence, competence, and commitment to plan for that time in our lives, especially in the areas of relationships and finances. It is time to take inventory. It is too easy to think of winning and losing in sports, and fail to evaluate where we are in relationship to winning at the game of our life. Don’t let that happen to you. Exude confidence, competence, and commitment in what matters most to you. In the meantime, on to the Final Four! Patti Fralix inspires positive change in work, life, and family through Speaking, Consulting, and Coaching in three specialty areas: Leadership, Managing Differences, and Customer Service. Her leadership firm, The Fralix Group, Inc., has been helping clients achieve practical and tangible results for twenty-two years. This entry was posted in Uncategorized and tagged basketball, final four, game, life, losing, NCAA basketball, Virginia, winning. Bookmark the permalink.